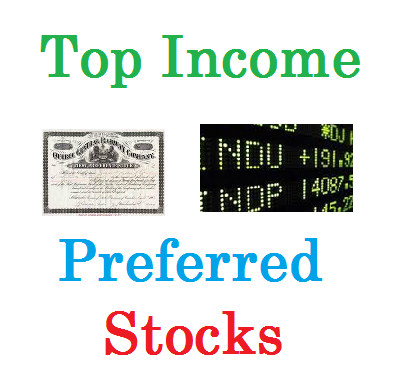 Income & preferred stocks closed end funds are investing in high dividend stocks & preferred stocks with high yield. Income seeker investors will find these funds attractive. These top closed end funds are selected based on its 1 year performance for the past year. You may find other information such as expense ratio fee, portfolio turnover rate, management or index approach, performance, etc. You can find the fund review and comparison below. This Flah&Crum Preferred Income fund invests mainly in banking and utilities industry issued preferred stock. The fund manager is Eric Chadwick and Donald F Crumrine. The total net assets are $229 million. Its expense fee is 1.80% per year. It has a dividend yield of 7.11%. Morningstar has ranked this preferred income fund with 3 star rating. It has returned 8.35% over the past 3 year, and 14.64% over the past 5year. Top 4 sectors are banks, insurance, utilities, and other. The John Hancock Premium Dividend fund uses its assets to purchase dividend paying preferred stocks and common equity securities. Total net assets are $1.1 billion. The fund advisor is John Hancock Advisers LLC. It has a high yield of 7.94%. Ranked with bronze rating, this income fund has an annualized return of 27.87% in 2014. It has returned 16.58% over the past 1 year, and 9.39% over the past 10 year. This Cohen & Steers Select Preferred and Income fund has $461 million of assets. The distribution rate is 7.77%. This preferred & income fund is sponsored by Cohen & Steers Capital Management, Inc. This fund is investing in a portfolio of Preferred and other income securities issued by US and non-US companies. This equity fund is ranked with 3 star rating by Morningstar. The 3 year average return is 12.71%. The annual portfolio turnover rate is 28%.